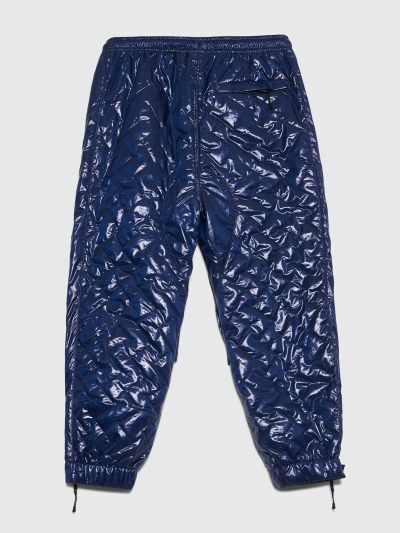 Track pants from Converse made in collaboration with P.A.M. Made from a quilted material. Features an elasticated waistband with drawstrings, two zippered front pockets, knee pockets, one zippered back pocket and elasticated cuffs with zippered vents. Co-branded labels on the left knee. 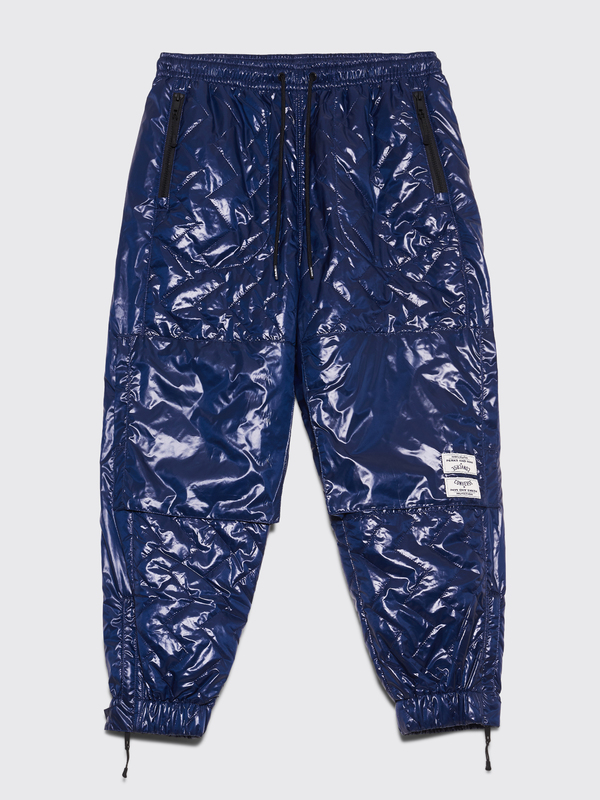 Navy pants. Made from 100% polyester. Relaxed fit. Elasticated waistband and cuffs. Fits true to size.